Airtronics of the Treasure Coast, Inc. Your safety & comfort are important to us! About Airtronics of the Treasure Coast, Inc.
Airtronics is a local, family-owned company that's been servicing the Treasure Coast of Florida since 1995. Since inception and to this day, we are committed to delivering excellent service and the best, most advanced and affordable solutions for home security, business security, home automation and home entertainment. We put the same amount of attention into hanging a tv on the wall as we do designing and installing a complete home theater or home automation system. Airtronics is committed to customer satisfaction and quality service. Our intent is to establish a long term, beneficial relationship with our valued clients and respected vendors. There are lots of security companies out there, so what makes us different. We are not interested in becoming a huge conglomerate with a big, pushy sales force and spending lots of money on advertizing. That is not our thing. What IS important to us, is that our customers are happy with our service, that they get the most enjoyment out of their entertainment system and can feel comfortable with their security system. Since our inception, our customer referrals have been our best and most frequent marketing strategy. 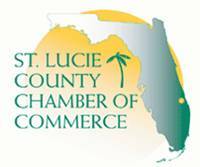 Airtronics is proud and honored to accept the 2011 Business of the Year award in the category of Retail sales marketing, 2014 in the Service Industries & 2015 in Service Industries from St. Lucie County Chamber of Commerce! Thank You! Airtronics is proud to be voted the Best Alarm System Company Sales & Service Award from Stuart Hometown News Readers! Thank You! 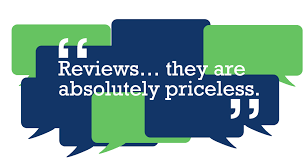 We strongly feel that word of mouth is the best compliment and referral a company can get! "I have had an Airtronics alarm system for 12½ years. I have modified and changed equipment over the years and Airtronics has always done a great job. Presently, I am adding a room to my house. Of course, I have to have the windows and door outfitted with sensors to incorporate the room into my system. And, as always is the way, there have been obstacles that cause delays. I have had to change the work and appointments on more than one occasion. Kim and Brian have been nothing but cooperative the entire time. I appreciate their patience and understanding. Copyright © Airtronics of the Treasure Coast, Inc. All Rights Reserved. Designated trademarks and brands are the property of their respective owners.